I am the Revd. 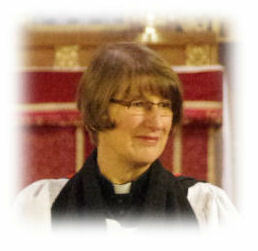 Amanda Cartwright (normally known as Mandy) and I am the Rector of the East Trent group of churches. We are a group of 11 churches serving 15 villages and small communities in a beautiful part of North East Nottinghamshire, between the river Trent and Lincolnshire. We are privileged to have varied and attractive places of worship which are used imaginatively and creatively as centres of community. As a Christian community, we believe in God as Father, Son and Holy Spirit, so we believe that relationship and community is at the heart of God and should be at the heart of all we do. We believe that church is for everyone, whether you want somewhere to belong, you are asking questions about belief or whether you have a long standing Christian faith. We hope we reflect something of Jesus’ attitude of welcome and inclusion to everyone. Church is here for you at times of major events such as Baptisms, Weddings and Funerals but also for the normal everyday times. So do come along to our services or special events and if you would like to know anything about church life or the Christian Faith, please get in touch and we will do what we can to help.